The time has come for our forty-eighth IGN Pro League Fight Club! This is a weekly king of the hill showmatch series. Basically, there will be a 1 vs. 1 best of 9 showmatch each and every week, where the winner will earn a $500 prize and a $100 bounty on their head. For example, if a player wins three weeks in a row they will have earned $1,500 and a $300 bounty. If a NEW challenger defeats him, they will earn $500 for the showmatch, take the $300 bounty home, and have a new $100 bounty placed on their head for each week that they win. TwitchTV 720p Subscription: $5 per month for all of our content! Creator.Prime is a multiple champion, but often is overlooked when considering the best Protoss in the world. He's one of the top 5 Protoss, truly fearsome with his gateway play. Last year he only lasted 2 rounds in Fight Club, which he's already surpassed. He's already defeated 4 opponents in 2013, but with a switch to Heart of the Swarm will he be ready? Polt has been practicing his heart (of the swarm) out in Austin, Texas, while studying in school. He tore through the IPL6 HotS Invitational Qualifier, defeating QXC in the final. Creator is on a different tier than almost any NA player however; can Polt defeat him with his greater HotS experience? Today's games will be cast by Andrew "Kibblez" Dunne, Tim "Robin" Frazier, and Kevin Knocke! 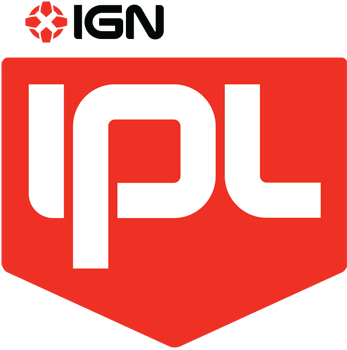 Stay up to date with IPL6, IPL TV, IPL Fight Club, and IGN Pro Team League (IPTL) by checking our Facebook, Twitter, YouTube, and Twitch.TV! Fight Club rematch! I think Polt got this one, because Creator's PvT isn't as invincible as it used to be, while Polt has been doing really well in HotS, and TvP is his strongest match-up. well IPL really wants to make it hard for creator with bringing one of the 3 TvP masters (Bomber, MKP, Polt) in here. Tough match for Creator. Both are very good but I think Polt will take it. Damn this is a sick match! Polt won against Hyun so he will win with ease against Creator! I thought that Polt was favored here, but I never expected it to be this one-sided. Eighty-one percent of people favoring Polt is a huge amount. Well there's only been 21 votes, but I'd say that Polt is a much more popular player than Creator and he's known for having good TvP. Not too surprising to see him way ahead in the polls since it has a lot to do with popularity as well as skill. Polt has one of the best TvPs there are, plus he's had a lot more experience with HotS afaik. I'd love to see Creator go on a streak, but I gotta give my vote to Polt in this one. Polt has been practicing his heart (of the swarm) out in Austin, Texas, while studying in school. He tore through the IPL6 HotS Invitational Qualifier, defeating QXC in the final. Did he spoil it? The results aren't in liquipedia yet. I kinda want to watch this, but I can't really stand to watch that much SC anymore. I'll just check vods/recommended games. Go Creator!